What a difference 20 inches and 1,000 lbs makes. 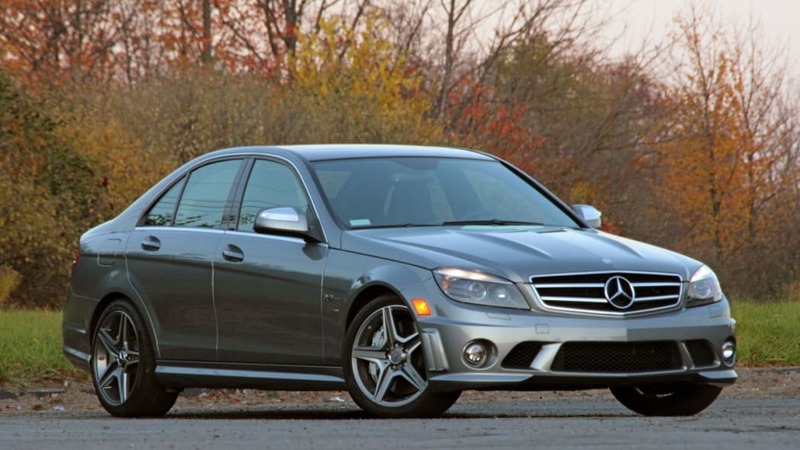 The latest occupant of the Autoblog Garage is the Mercedes Benz C63 AMG. 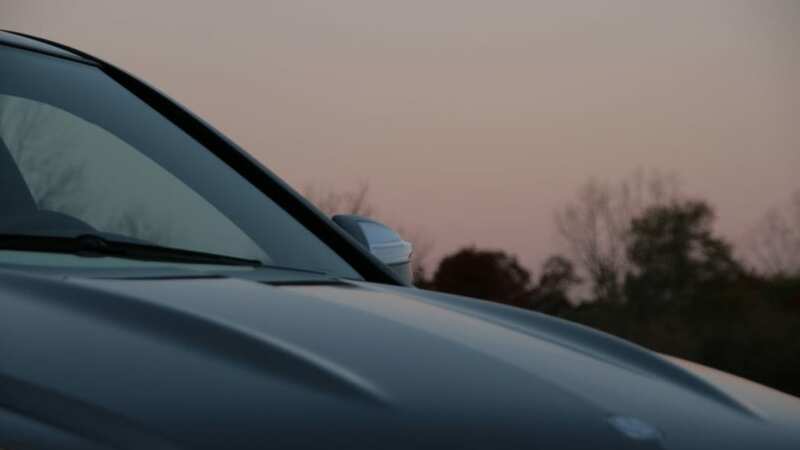 You might recall that a few months ago we tried out one of the big dogs from the Benz lineup, the S63 AMG and came away somewhat awed by the technology but distressed by the driving experience. This time around we got the baby brother of the family and found what may well be the best driver's car in the current Daimler lineup. 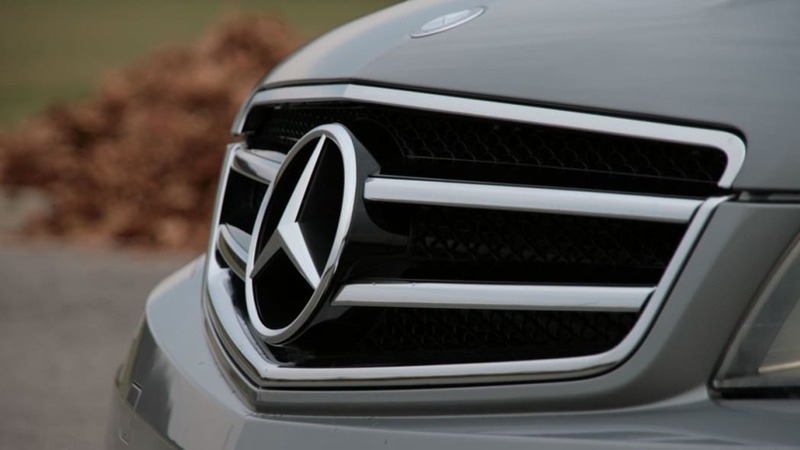 Ever since the C-class was born as the 190E back in the '80s, Mercedes and BMW have had a back and forth rivalry in the high performance compact sport sedan/coupe segment. As the M3 has grown and evolved over the past two decades, so to has the Stuttgart challenger. Just like the original M3, the lineage started with the four-cylinder 16-valve 190E-2.3-16 and has grown through a succession of V6 and V8 engines. 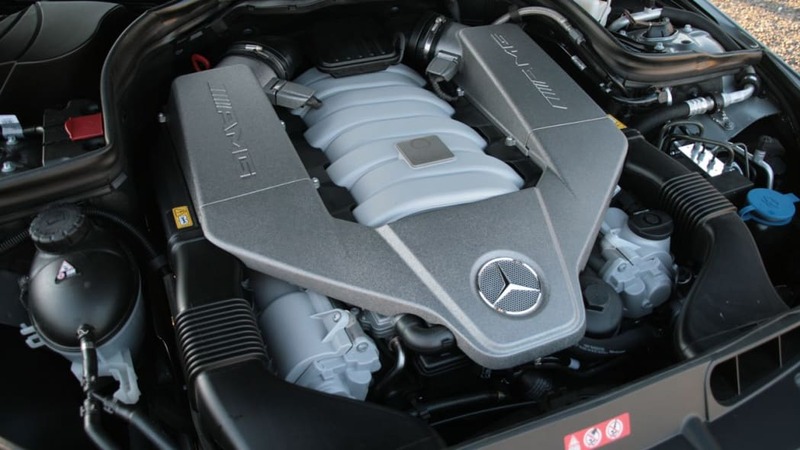 Despite the nomenclature, this latest edition is stuffed full of 6.2L of AMG V8 dripping with power and torque. Can the latest C63 finally topple the M3 from its throne? Find out after the jump. Over the years, BMW has grown its M3 lineup to include sedan and convertible body styles in addition to the original coupe, and has offered manual, automatic and automated-manual gearboxes. 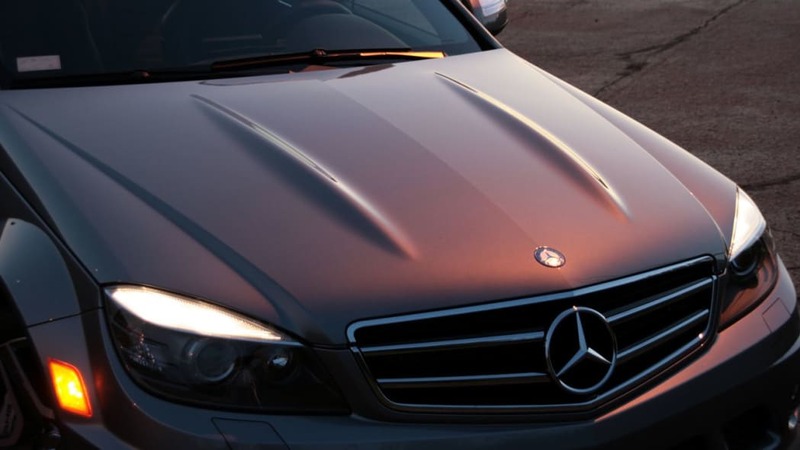 Mercedes Benz on the other hand has seemingly kept things comparatively simple. 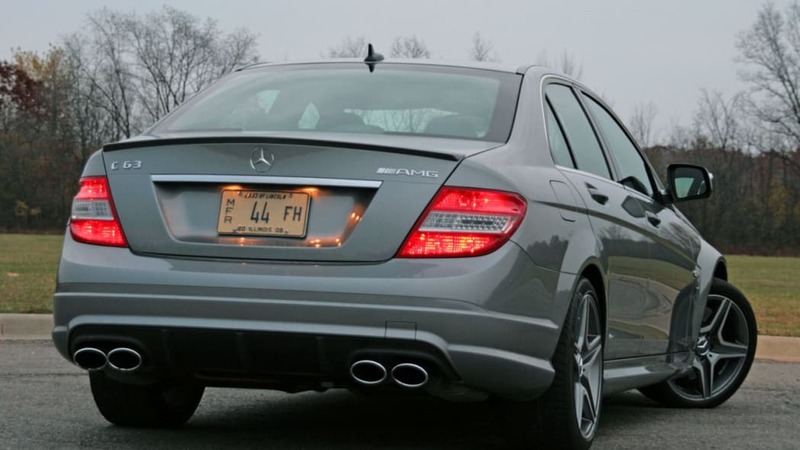 From the original 190 through its eventual name change to the C-Class, the line has always had four-door sedans (along with wagons in Europe and occasionally here in the U.S.). 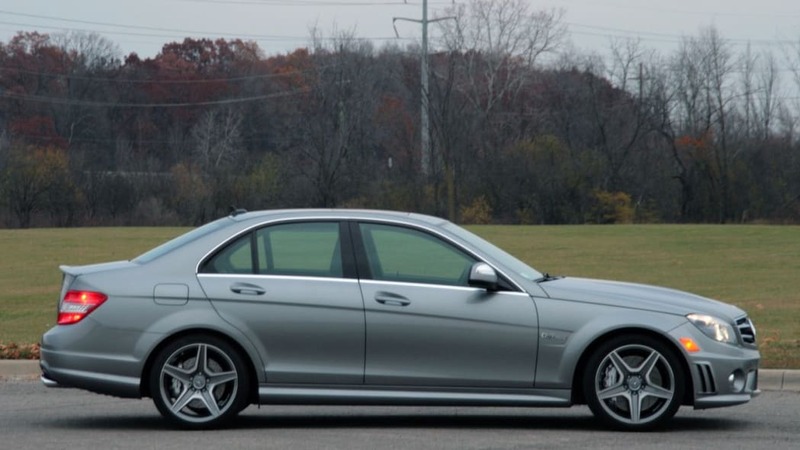 Technically, that original 190 was not an AMG model, but it makes the parallel to the M3 more obvious. Over in Europe, buyers can also opt for the C63 Estate for those who want their speed fix with a bit more utility. 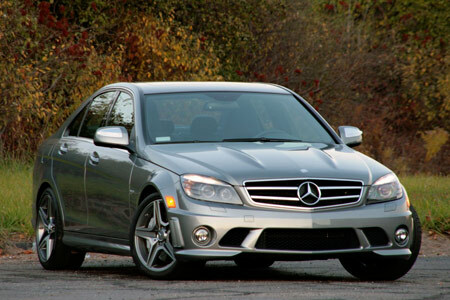 The latest generation of the C-Class debuted in early 2007 wearing a sharper set of clothes than its predecessor. 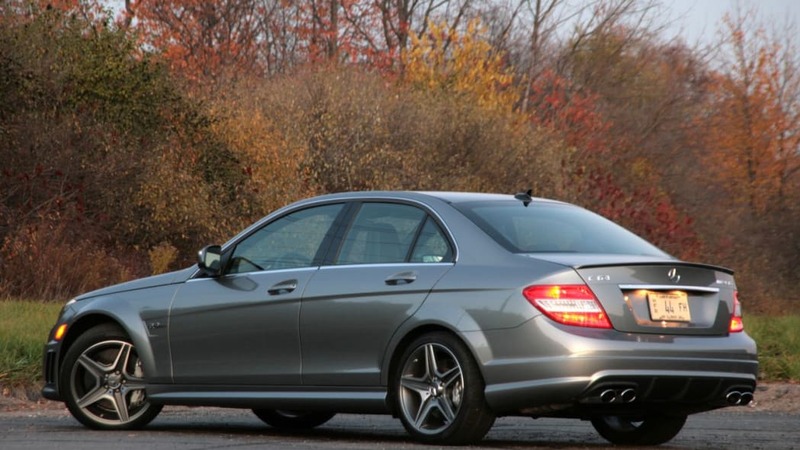 The W204 generation inherited some styling cues of the big S-Class but in a slightly more toned down form. 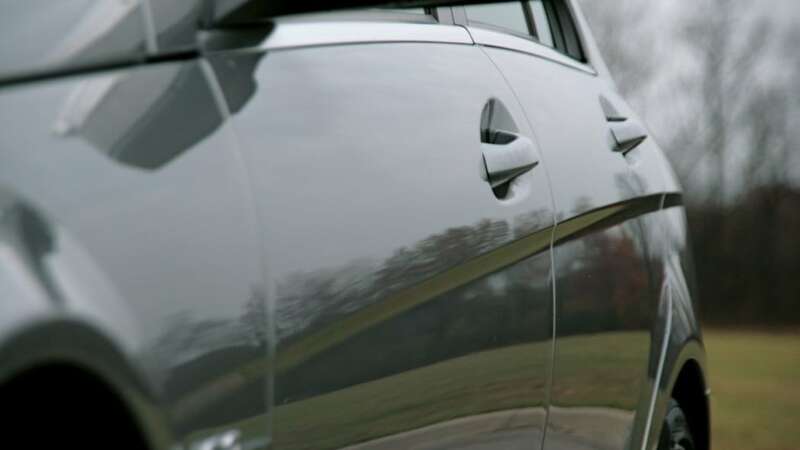 The character line that begins behind the front wheel arch and sweeps back over the rear wheels is borrowed from its big brother, while the prominent wheel arches are scaled down in proportion with the smaller overall size of the car. 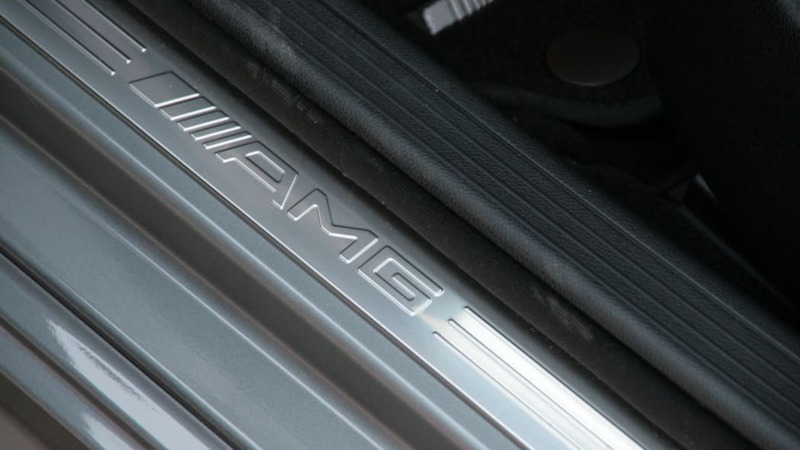 The vents at the outboard ends of the front fascia are also shared with all other AMG branded cars. 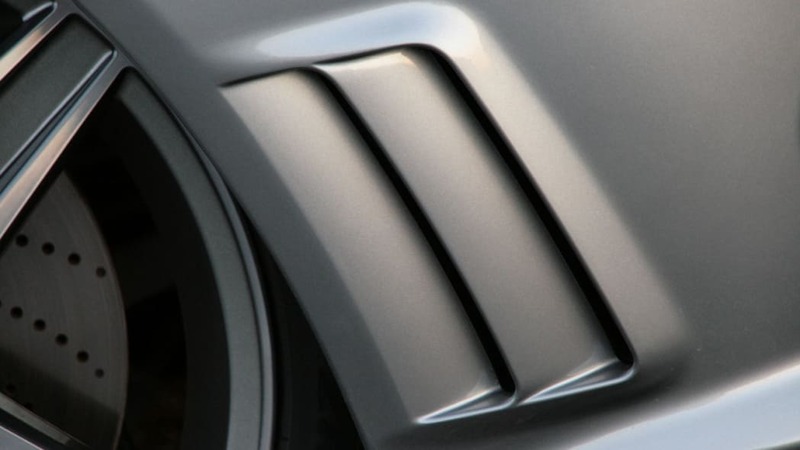 The C63 even picks up a design element from the latest SL that hearkens back to the 1953 original: the two longitudinal ridges along the hood. 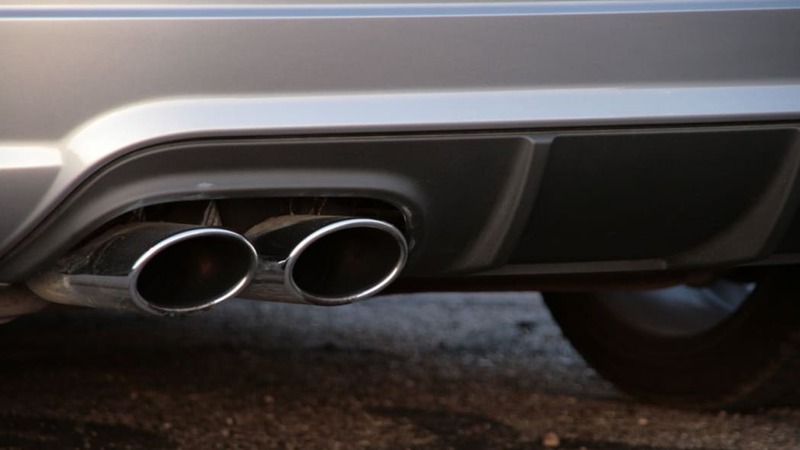 The C63's sporting pretensions are visually enhanced by some of the usual elements like rocker panel extensions, a rear lip spoiler and four oval shaped exhaust pipes. 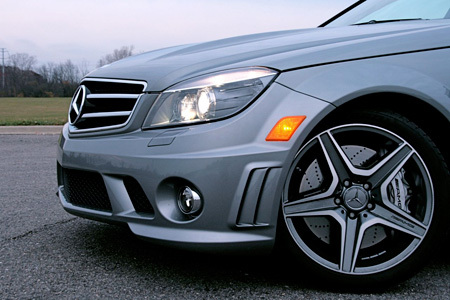 The corners of the car sit on 18-inch wheels and tires, the fronts 8-inches wide with an extra half inch in the back. Fittingly, those wheels are filled with serious braking hardware: 14.2-inch drilled-and-vented rotors in the front and 13-inchers in the rear with 6- and 4-pot calipers, respectively. 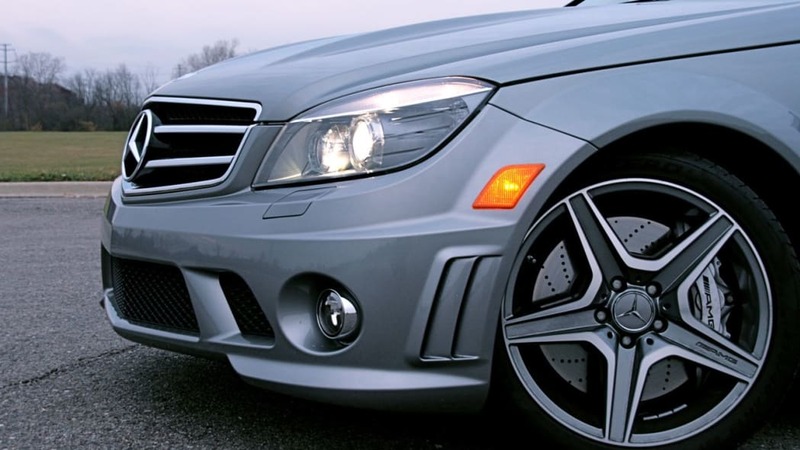 When you open the door, it's immediately apparent that the C63 is built for business. 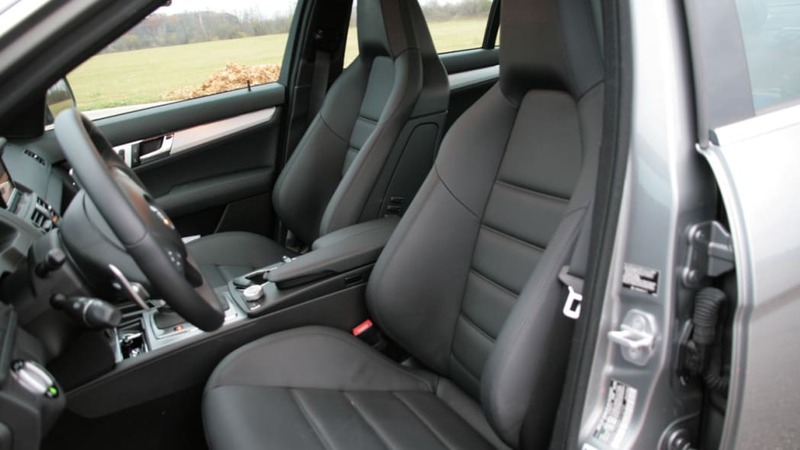 The seats have huge side bolsters that are adjustable for width. 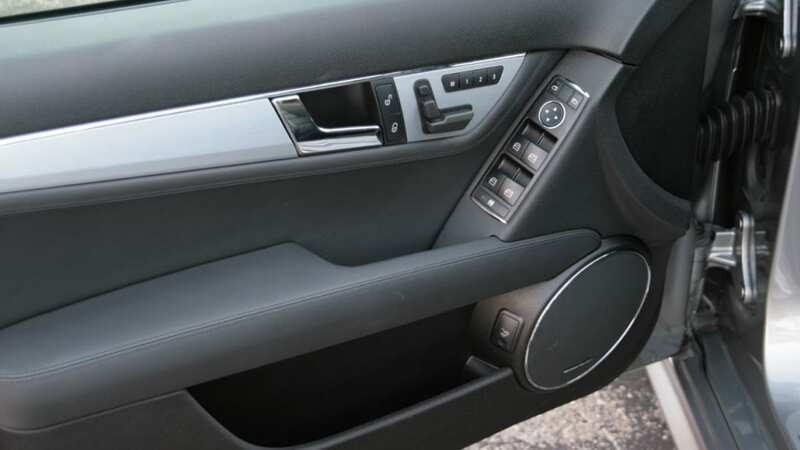 Slip in between those lateral supports, snug them to your torso width and you will remain firmly planted directly in front of the thick-rimmed steering wheel. The only issue with the seats comes for those with a broader torso. While the bolsters are adjustable, the maximum width is limited so some will be unable to fit properly. Speaking of the steering wheel, that rim shows its racing heritage with a flat bottom, presumably making it easier to slide under it and into that seat. 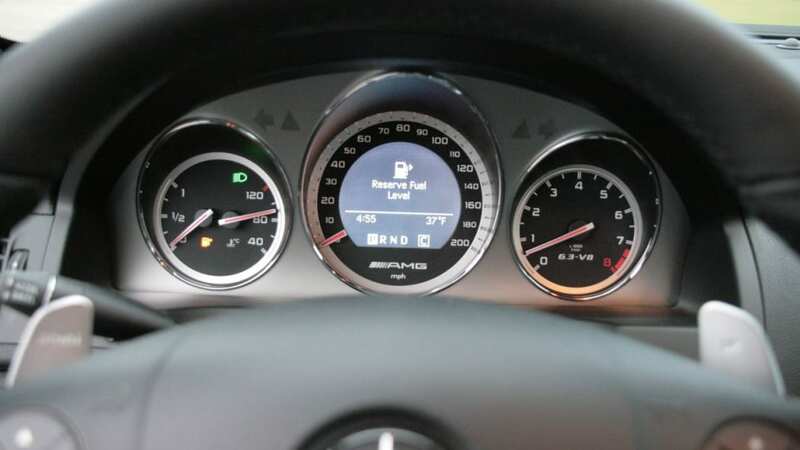 The gauges are clear and easy to read and like other modern Mercs, the central speedo has the needle attached to the outer perimeter leaving the central portion free for the information display. The back side of wheel has those de rigueur shift paddles. 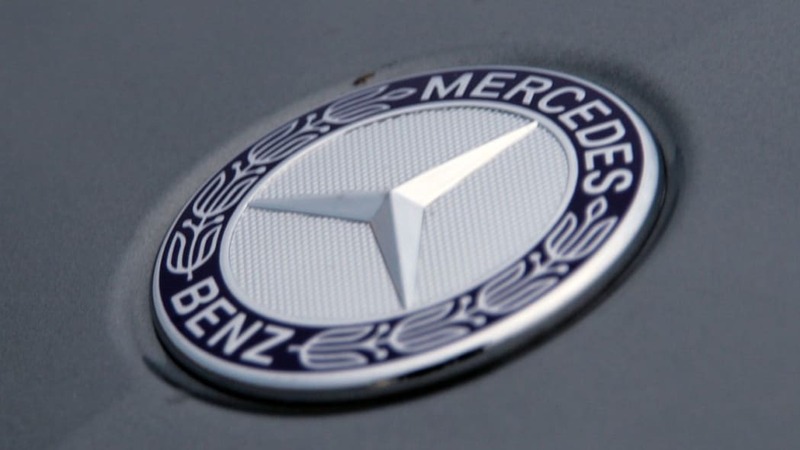 In recent years, Mercedes has had an aversion to manual gearboxes in its high performance cars and this example is no exception. 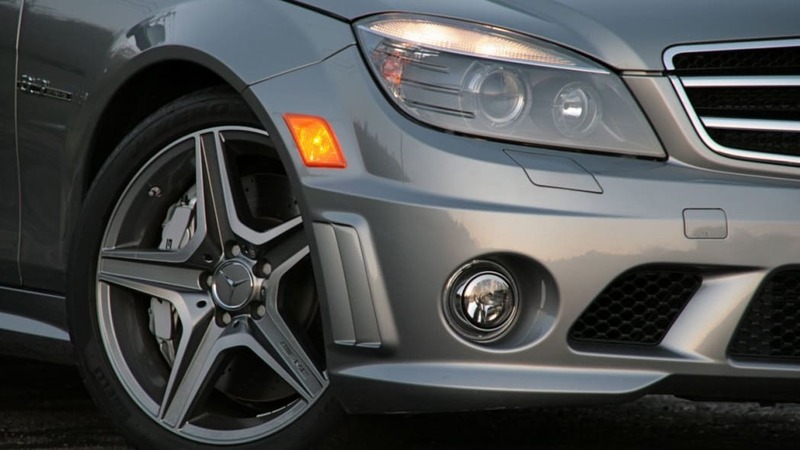 The seven-speed automatic in the C63 AMG is dubbed AMG SPEEDSHIFT PLUS. It has the usual Comfort, Sport and Manual modes, but AMG engineers have added something new to the control strategy: double declutching. In the old days before synchronized gearboxes, double declutching was something every driver learned and is still taught at racing schools (at least it was at Bondurant in the mid-90s when I went there). During a down shift, the driver would press the clutch pedal, shift from the gear to neutral, release the clutch, blip the throttle, press the clutch again and then shift to the lower gear. This was necessary to ensure that everything was spinning at the same speed to prevent crashing gears and jerky shifts. Synchro gearboxes have largely eliminated the need to do this, but double declutching can still lead to smoother down shifts and less wear on the gears. 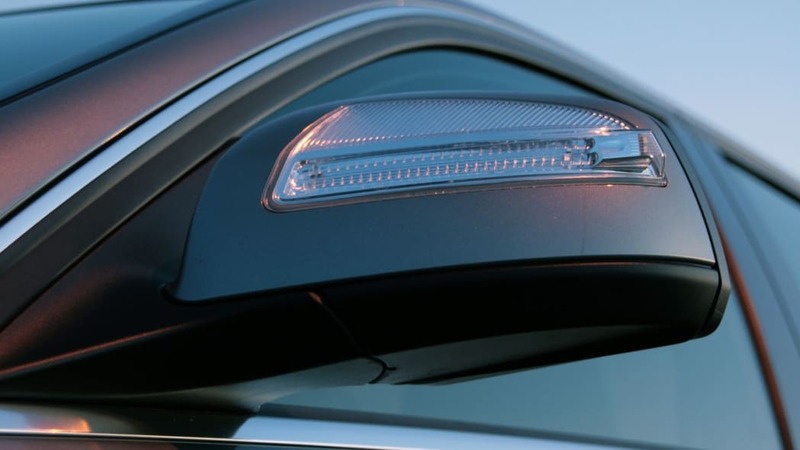 The lack of jerkiness also helps prevent upsetting the car if shifting while cornering. 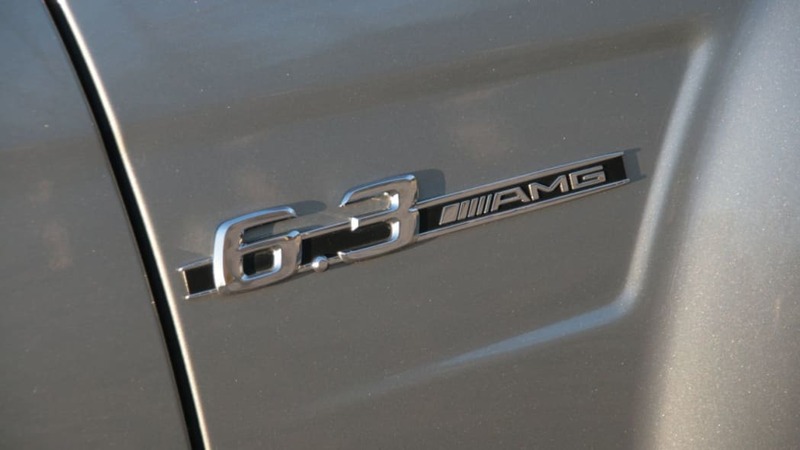 AMG claims the automatic in the C63 is doing this now too for better balance. Frankly, we've never really experienced an issue with other automatic cars during a down shift while cornering, but we'll take Merc's word for it until we experience a C63 on the track. 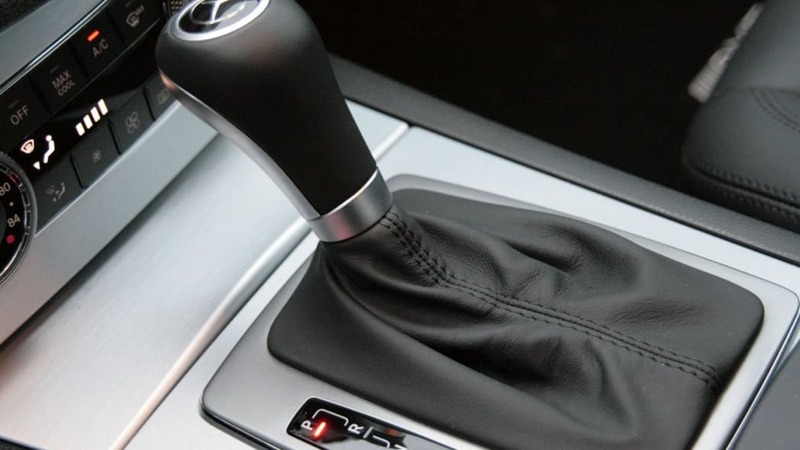 On the road, the transmission responds quickly to taps on the shift paddles whether going up or down through the gears. Switching from Comfort to Sport mode causes the transmission to downshift during deceleration, which enhances engine braking. 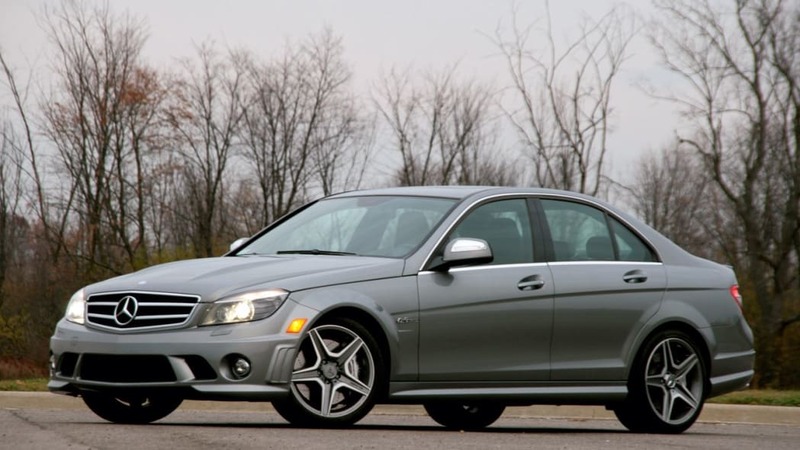 The C-Class has always been the smallest Benz available in the U.S. market, but the AMG crew has learned over the years how to stuff it full of the same big bore V8s that normally go into its bigger brothers. 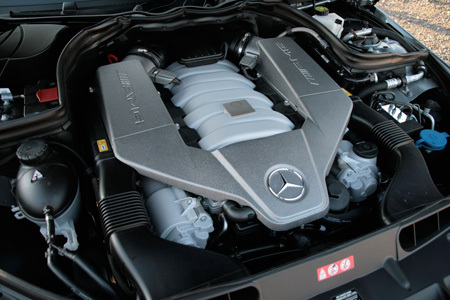 The 6.2L AMG V8 was designed and built specifically for these high performance applications and isn't based on any other existing Mercedes engine. In the C63 it cranks out 451 horsepower and 443 lb-ft of torque, which is down from the 518 hp / 465 lb-ft it produces in the S63. 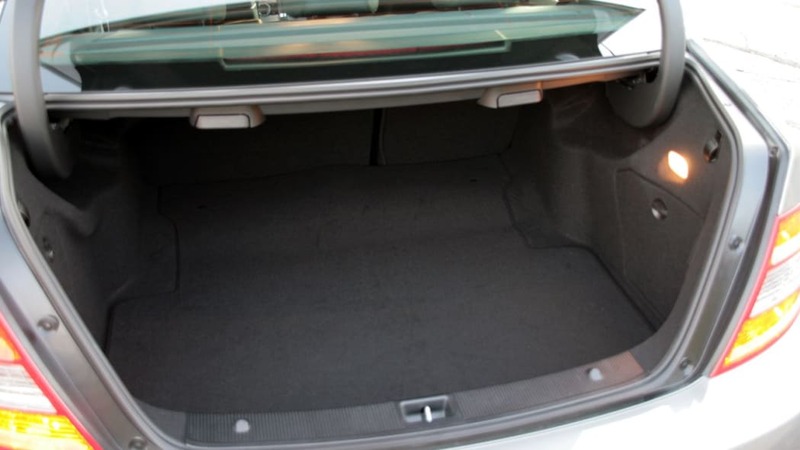 This is likely due at least in part to less space available for the intake and exhaust systems in this smaller car. Not that you'll really notice, because this is one seriously fast car. Unlike the S63 where it felt like the car was being operated by remote control, the C63 feels much more direct. 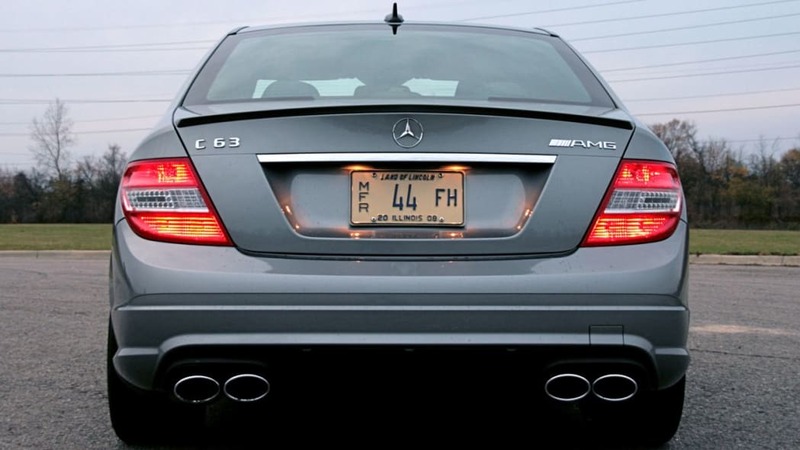 When driving hard, the exhaust note is loud and raucous and never lets you forget what you have at your disposal. Around town it's more subdued but still more aggressive and deep sounding than the screaming M3 under similar conditions. 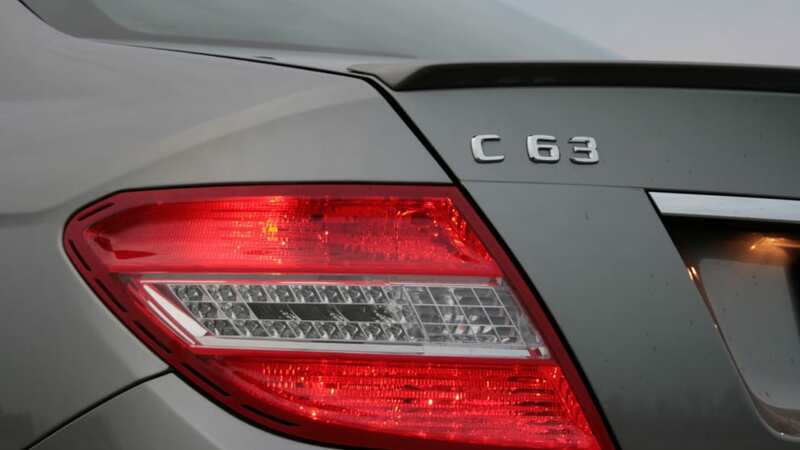 The S63 offers very similar performance capabilities to the smaller C, but oddly doesn't feel as fast. The active body control of the bigger car keeps everything on such an even keel that you lose much of that feedback on which you normally rely to judge speed. The steering in the C63 has decent if not exceptional feedback about what's going on at the front corners. The 18-inch Pirellis provide tremendous grip and the chassis feels nicely balanced. 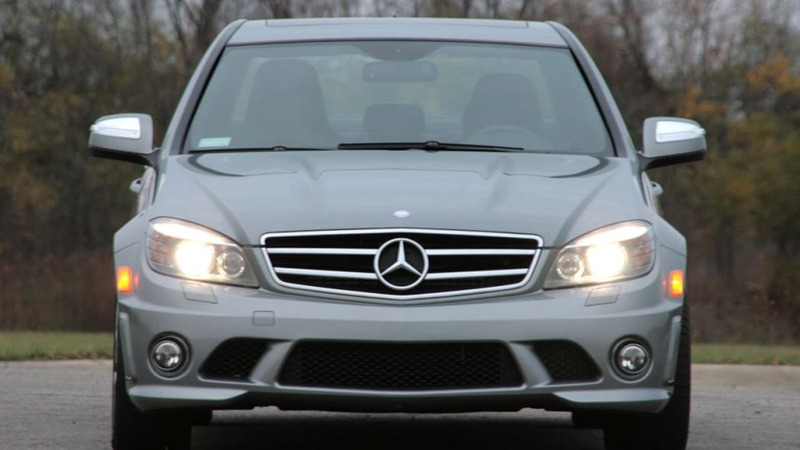 The traction control and stability control also don't intrude as aggressively as on most other Mercedes. Punching the gas through a corner kicks the back end out and let's it hang there without jerking the car around. The C63 is a genuinely fun car to drive on a twisty road, though ride is a bit on the harsh side as we discovered cruising on some of the nastier roads around these parts. 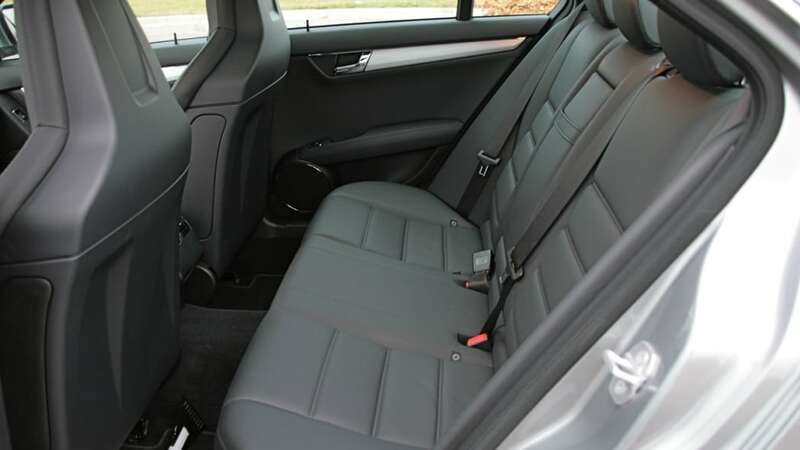 The C63 is equipped with all the usual amenities that one would expect in a $67,000 (as tested) car, such as heated leather seats, dual zone climate control, rain sensing wipers and more. In the glove box you'll find an iPod connector that goes straight to the audio system. Normally this is a good thing that allows the iPod to be controlled from the head unit. 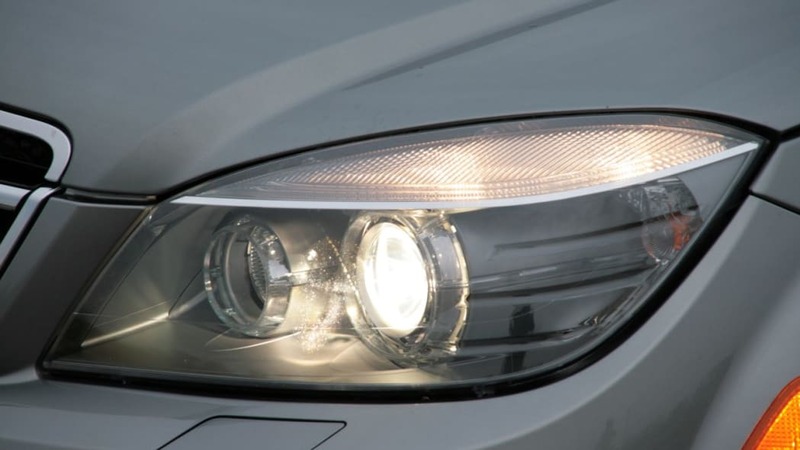 Unfortunately, Mercedes engineers seem to have overlooked one major detail. 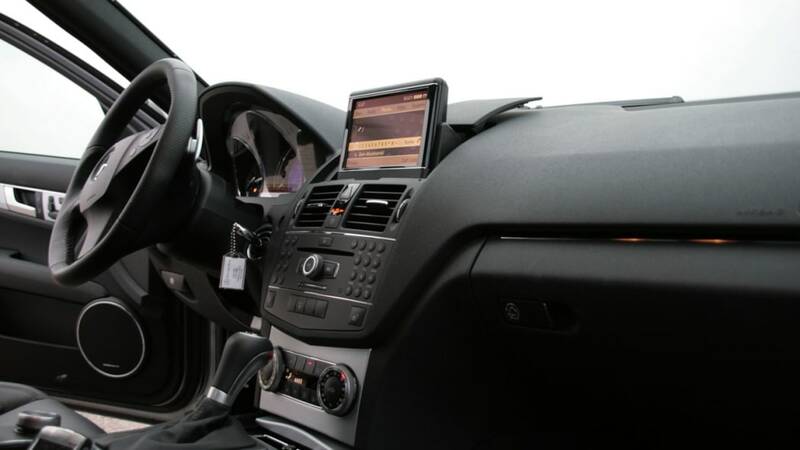 Nowhere in the clumsy menu structure of the Mercedes COMAND system is there any interface to actually control the iPod. You have to unplug it, select a play-list and then plug it in to play. 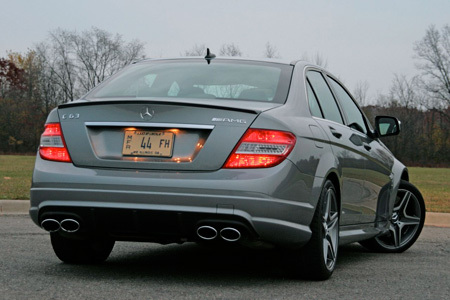 Overall the C63 is probably the best drivers car in the current U.S. Mercedes lineup. If only it were available with a good manual gearbox, we would be completely sold. 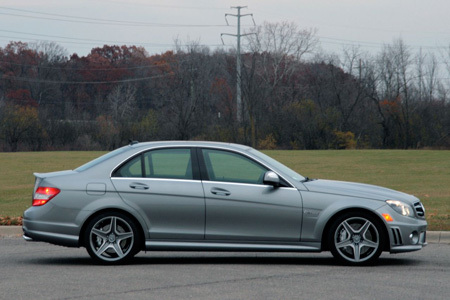 As is, the C63 is a reasonably sized sports sedan with an outstanding engine. Europeans also have that aforementioned station wagon body style, which would make this a great high speed road trip machine. Acceleration to 60 mph goes by in the mid-four-second range and a C63 won't find itself outclassed by many other machines, especially those with four doors and room for four (five in a pinch). 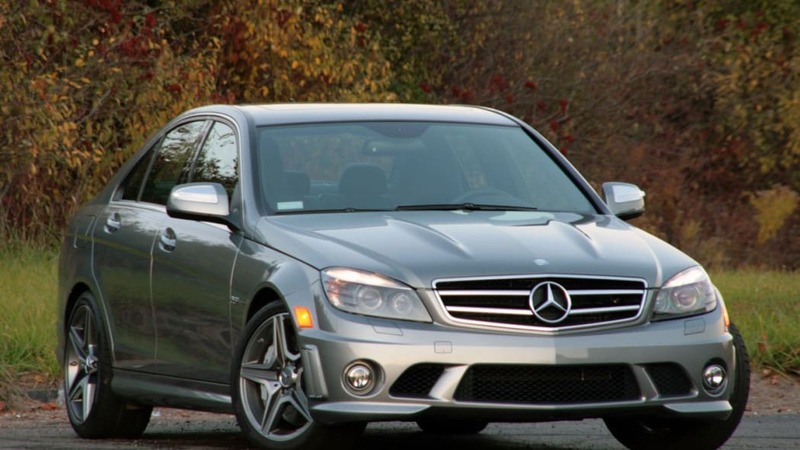 Anyone considering an M3 who doesn't really want a manual gearbox should take a look at the Mercedes Benz C63 AMG. This one truly is a viable alternative.